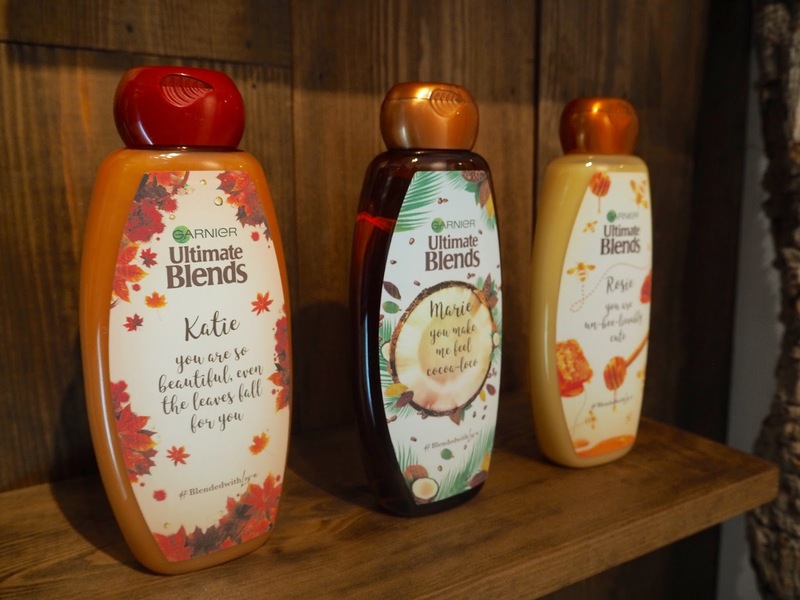 If you're in London today or tomorrow, get yourself along to The Blends' Room; Garnier's pop up on Bateman Street, Soho. 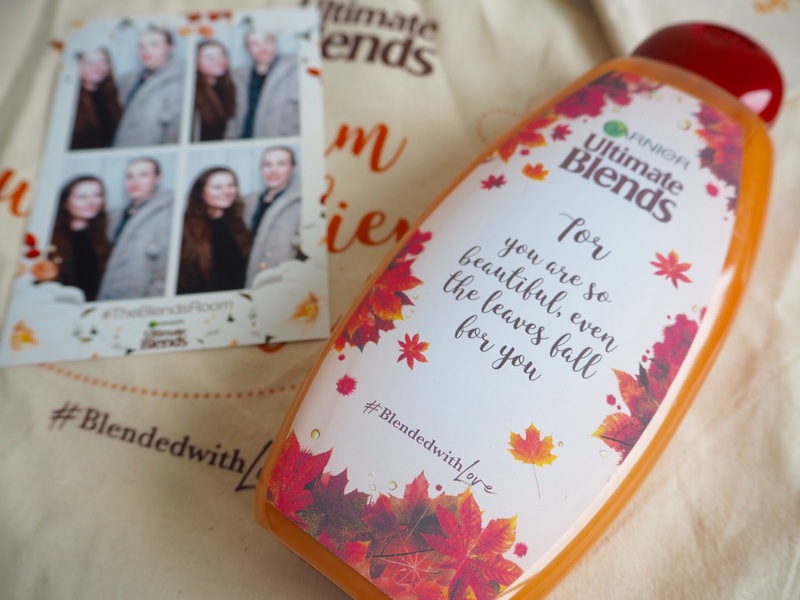 The space has been turned into a beauty lovers haven, with all eleven varieties of the Ultimate Blends products on display including the brand new Maple healer range, a booth to personalise your own free bottle of shampoo, a hair braid station and a gif and photo booth. 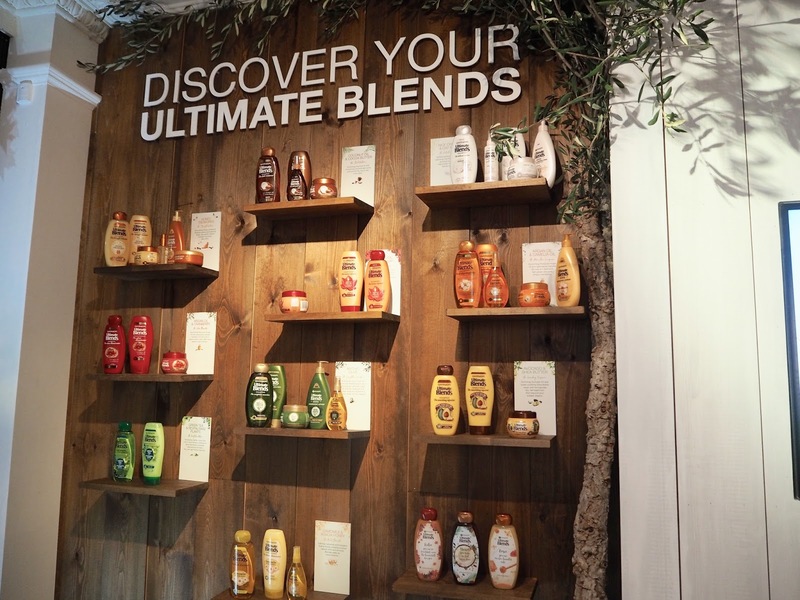 The room is really interactive with products allover to read about and sample, video demonstrations and live art bottles displaying all of the natural ingredients in some of the most popular blend ranges. 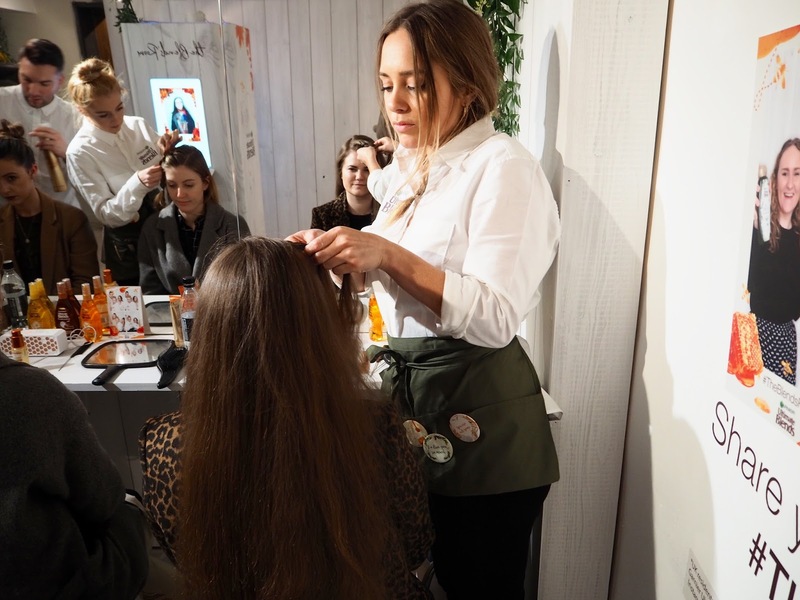 The guys from Garnier are also there and on hand to answer questions and give lots of advice on all of the products. 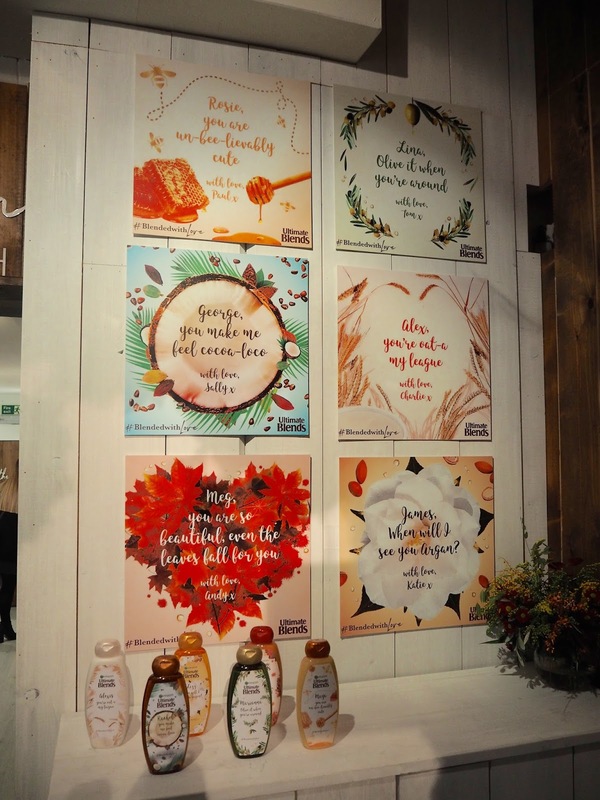 There are classes, talks and workshops going on throughout the day including meditation, health and wellbeing and blogger advice, but unfortunately, to my knowledge, they are all sold out. 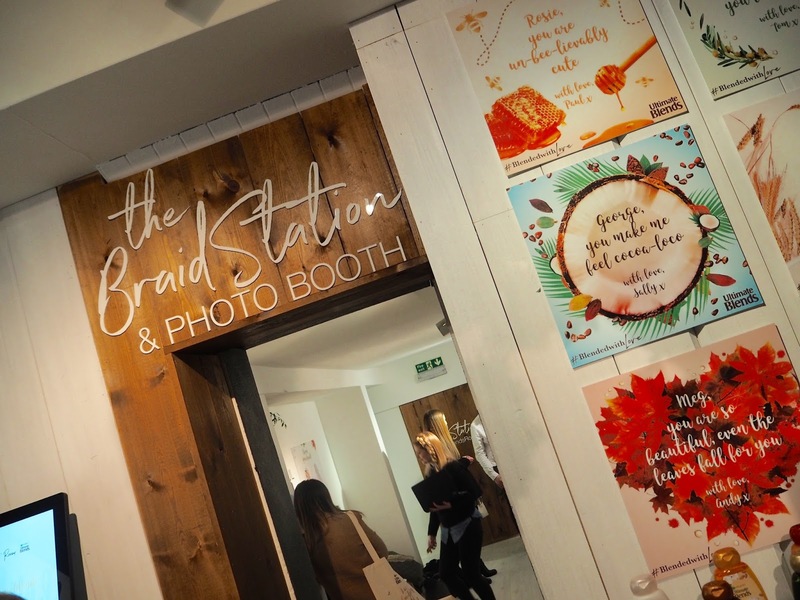 Don't let that put you off though, anyone is welcome to visit the pop up, which is completely free, and you will come away with your full size bottle of shampoo, a makeup bag and your new braided hair inspired by the gorgeous Carly. 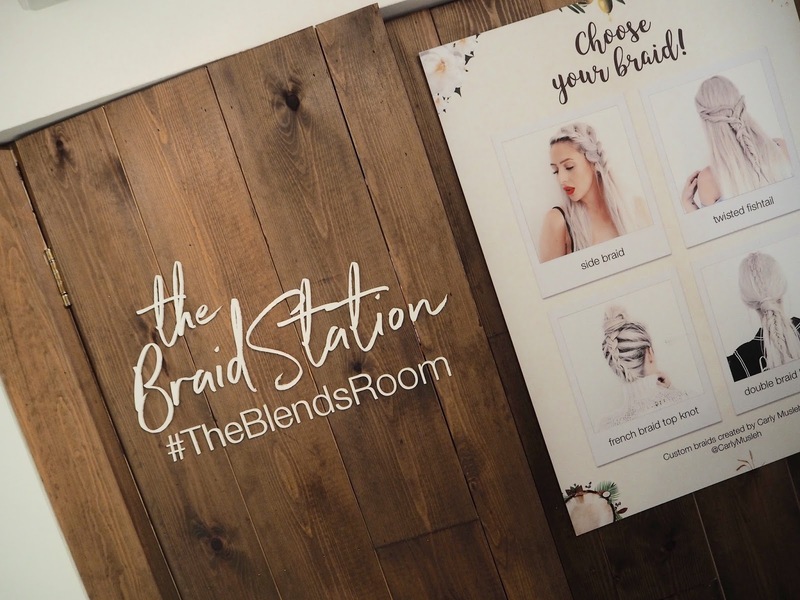 There are four braids to choose from; The twisted fishtail, side braid, french braid top knot and the double braid low pony... I chose to go for the side braid, which was perfect for my wind swept and rained on hair. 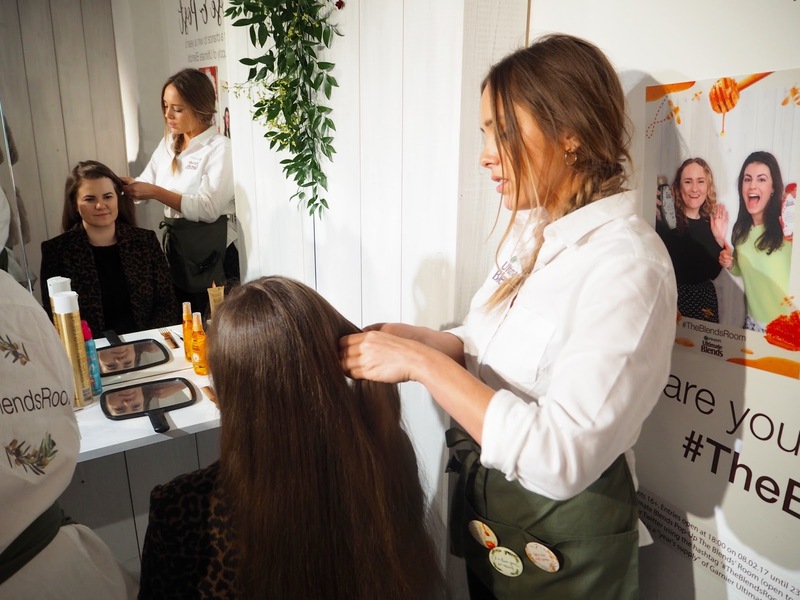 I left feeling like a new woman having been pampered with Garnier products while the lovely lady (who's name I didn't catch) worked her magic on my hair. The pop up is open Friday 10th February (today) 10am-7pm and Saturday 11th February 10am-6pm. 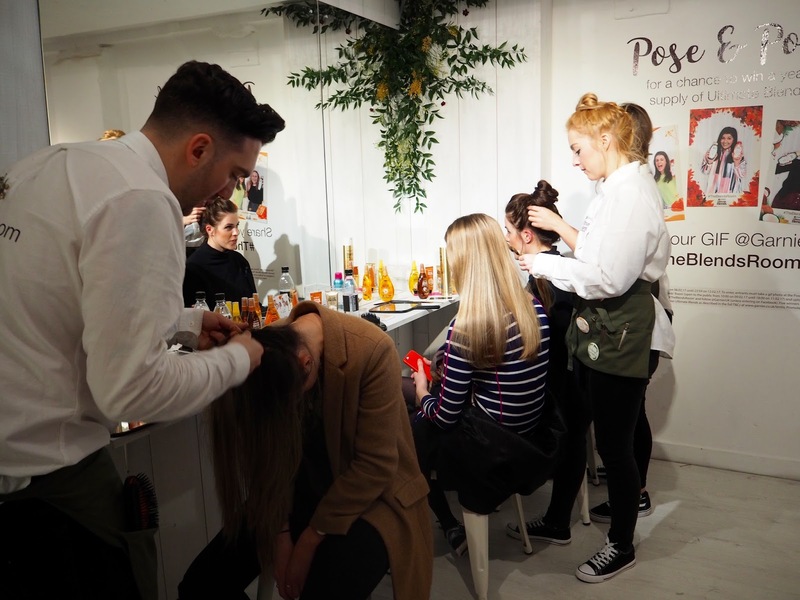 The Garnier team are so lovely and welcoming, and they have done such an amazing job with the place... 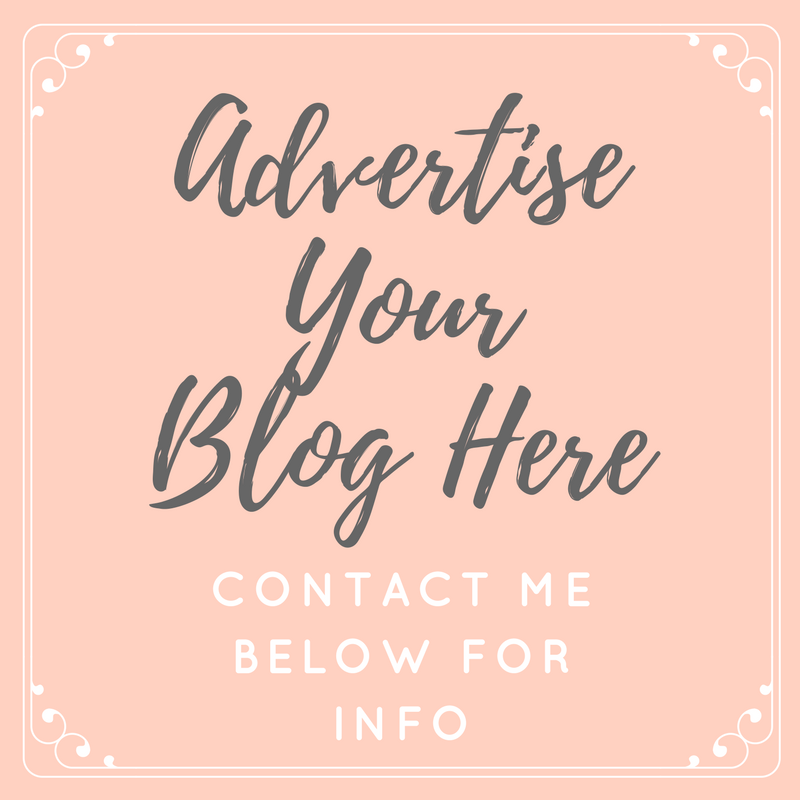 It's definitely worth a visit.